Sotheby's Paris', Goldsmith's Gold Boxes and Works of Art on 3rd May features 225 pieces of 16th to the 20th centur American and European silverware. 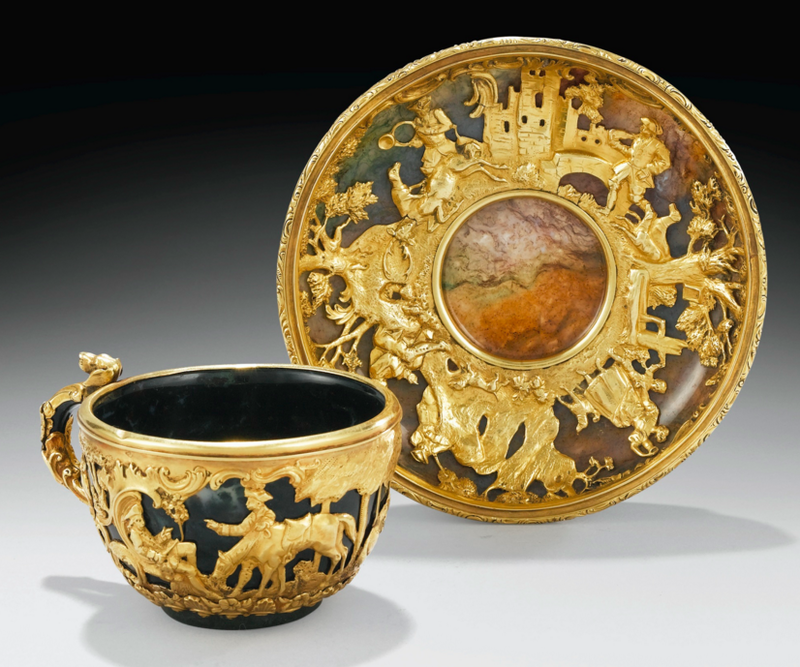 A Barnebys favourite from the auction is a gold-mounted jasper and agate cup and saucer, made in Germany circa 1880. Delicately decorated, this piece has a carved hunting scene etched on the dark green and brown surface. 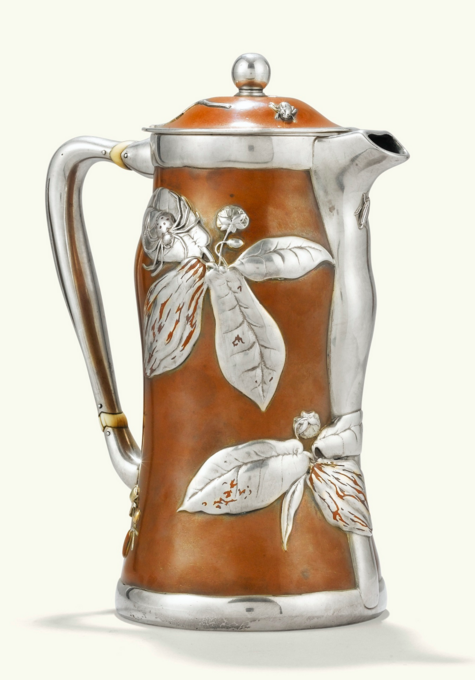 A similar teapot sold in London in July 1999, which was from the inventory of the palace of Baron Nathaniel de Rothschild in Vienna in 1906. 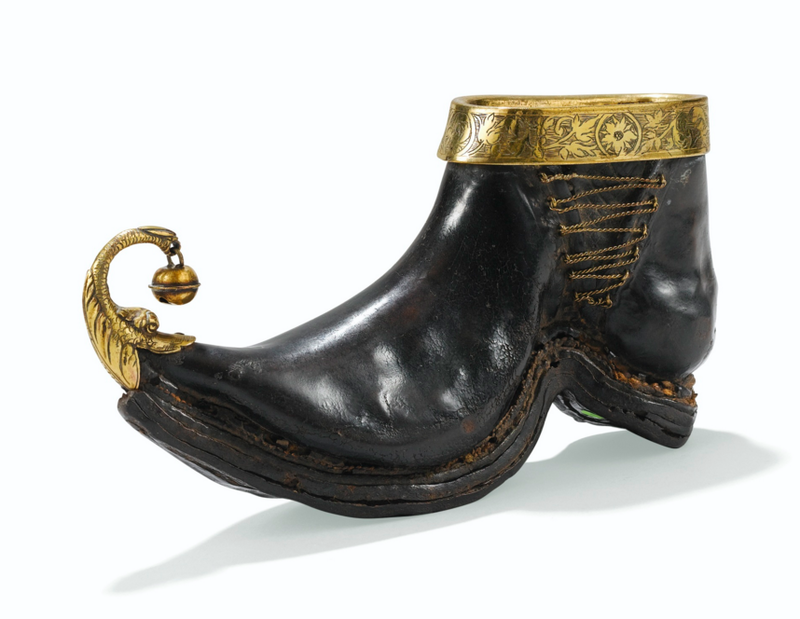 One of the most striking pieces in the auction is this German shoemaker's guild cup, from around 1565. The piece is extremely rare and this is the first time in twenty years a piece like this has come to the market. Only four similar models, which now kept in private collections, are known to exist. Finally, this silver lacquered chocolate-pot by Tiffany circa 1880 is an absolute treat. Finished in a Japanese style, the design features cacao-tree foliage and fruit patterns. 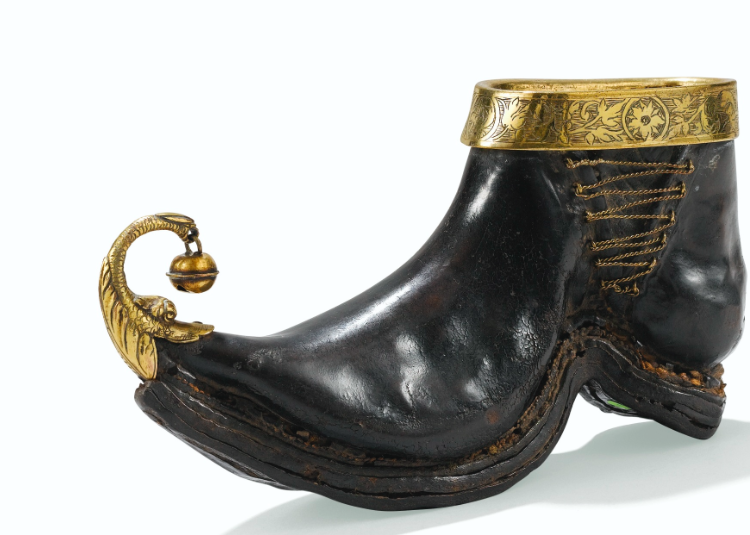 The auction also features silverware by Tiffany & Co., a charming tortoiseshell two singing bird box and an ivory elephant with gold, precious and semi-precious gems and pearls from the 20th century.